↑ F. Vinci, Ostilio Ricci da Fermo, Maestro di Galileo Galilei, Fermo, 1929. ↑ Groleau, Rick. 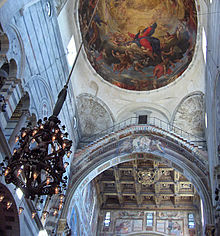 "Galileo's Battle for the Heavens. July 2002". Ball, Phil (2005-06-30). "Science history: setting the record straight. 30 June 2005". The Hindu. Chennai, India. ↑ Drake, Stillman (1978). Galileo At Work. Chicago: University of Chicago Press. ISBN 0-226-16226-5. ↑ Galileo Galilei: The Falling Bodies Experiment. ↑ Adam, Mosley. "Tycho Brahe". Starry Messenger. History & Philosophy of Science Dept, University of Cambridge. Retrieved 13 January 2012. The Galilean Library, educational site. Works by Galileo Galilei: text with concordances and frequencies. Galilei, Galileo. Le Operazioni del Compasso Geometrico et Militare 1610 Rome. From "Rare Book Room". Scanned first edition. 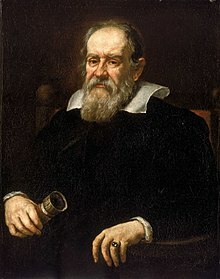 Galilei, Galileo. Istoria e Dimostrazioni Intorno Alle Macchie Solar 1613 Rome. From Rare Book Room. Scanned first edition. Linda Hall Library features a first edition of Sidereus Nuncius Magna as well as a pirated edition from the same year, both fully digitised. 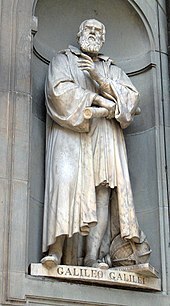 Galileo and the Church, article by John Heilbron.